Its the end of month 2 of 12, time is actually flying,didn’t the year only just begin?. How far with the resolutions and goals we made at the beginning of the year? I read somewhere,that if you don’t move out of your comfort zone, all that new year, new goals thing that we say means absolutely nothing , so I’ve been trying to shift out of my comfort and do things I’d have been scared of doing a year ago as they say “Do it Afraid”,and also do the things I kept on postponing last year for one reason or the other. I usually write down a list of things that I want to talk about each month for the “and other stories” category but I checked it out lately and I found out I hadn’t written even one single thing down 😱😧. Buhari went on a 10 day vacation and somehow 10 days has extended beyond a month,Femi Adeshina the special adviser on media and publicity to the president I.e the presidents spokesman has had no direct contact , but as he says “he is in touch with London”,lol see this one o! Who isn’t in touch with London, does it take much to be in touch with London, the spokesman of the president is in touch with London but not with the president. I think Femi Adesina should save himself some embarrassment and quit that job, because we can all tell (if you’ve ever watched any of his interviews,you’d know what I’m saying) that its just a job title not an actual job. Also what is thing where every time someone of note says something about this administration they are picked up by the DSS,in a democracy? Where’s the freedom of speech? Buhari needs to do better. I’m glad his away though, i hear the naira has appreciated a little. 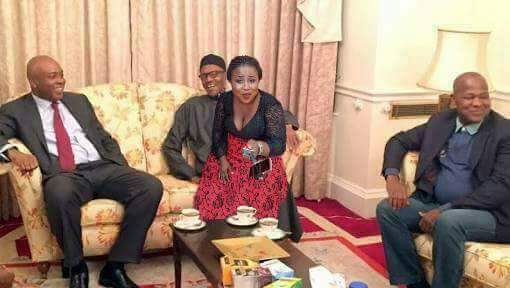 I was somewhere recently when someone came up with a theory that in aso rock the president or the president wife always (one of them sha) dies before the tenure ends… I asked about Jonathan and his wife and they said “na because that woman leg dey strong kakaraka” lol! What do you think about this theory? First off, I want to say congratulations to the thousand others who did not make it to the house, maybe , just maybe its because you are decent people. I hope you find some other way to make it in life that isn’t being locked up in a space for 93 days. The content providers of this show need to do better, in previous big brothers,tasks were a way of acquiring new skills and I as a viewer could even say that I learnt a few things from the tasks, but not this time. There’s even a kissing festival, big brothers way of setting them up to be immoral on international TV, like he can’t even wait for them to develop those sexual connections themselves, Secret tasks that involve purposely annoying another house mate. Big brother, think about it are you really being a big brother? I sincerely believe that marriage is supposed to be a partnership and not a one way street, its one of the reasons that women have started working and providing for the family in conjunction with their husbands while also cooking meals, taking care of the kids,and cleaning the home but don’t expect a woman to do it all , it won’t hurt you to cook for your family, and I promise you won’t die if you take care of your kids and clean the house. I hope that one day gender inequality stops being a thing, I hope that it stops being an issue , I hope that someday men realize that if you allow society tell you things that you can or cannot do then you are not really as much of a man as you think are. Your wife is not your slave. This particular post seemed to shift into a more serious and less humorous side of things don’t blame me, blame buhari,blame the foreign exchange rate,blame gender inequality and other topical issues. If I happen to have asked a lot of people to do better in this post , its because I’ve been reading Luvvie Ajayi’s “I’m judging you” the do better manual. I’d talk more on it in a separate post when I’m done reading it. Don’t forget to leave your comments, share and subscribe. 2 months down, best wishes for the next 10 months! Lol @ “In touch with London”, the media reps of this current administration must have PhDs in comic relief. Honestly! Thank you… I’m also Wishing you the very best. I tell you, they must have come out with first class degrees in comedy or how else can one explain it. Thank you. Lol! Baba comedy. Anything for a good selfie, your president would be fine.